A League of Their Own provides readers with a closer look at the FIFA Club World Champions. It examines teams such as FC Barcelona, Bayern Munich, Real Madrid and Manchester City. Readers will catch a glimpse into the history of these clubs while also learning about the individual philosophies of some of the top coaches. A League of Their Own discusses different tactical philosophies as well as how these tactical approaches have been adjusted by some of soccer’s greatest coaches, such as Pep Guardiola, Jose Mourinho, Luis Enrique, and Louis van Gaal. Finally, readers will be taken through case studies of each individual team with a step-by-step analysis of how these tactical setups are successful and how they can be exploited. All About Pressing in Soccer provides a detailed look at the history, theory, and practice of pressing in soccer. With this comprehensive resource, the coach and player will improve their understanding of the game, making them stronger and more successful as a coach or player. The Best of Soccer Journal: The NSCAA Guide to Soccer Coaching Excellence offers some of the best information from the NSCAAs official magazine, The Soccer Journal over the past twenty years. 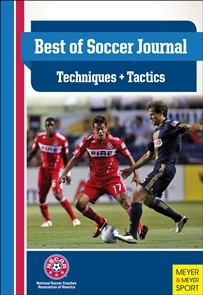 The Best of Soccer Journal: Techniques and Tactics will assist coaches who want to strengthen the technique and tactics of your soccer team on the field, the colorful, clearly explained and expertly rendered training plans in this book will provide you with the knowledge to improve.